Keep the mute switch and volume dial close at hand for quick, precise audio adjustments. All attached to an extra long, x-meter cable. You can hear up to seven discrete channels of audio data plus the low-frequency effects (LFE) channel, known as 7.1 surround sound. Dolby Headphone technology perceptually positions each channel in the correct location to reproduce multi-channel content the way developers intended. We know even twin gamers are one-of-a-kind. For a personalized fit, the earpieces swivel up to 90 degrees. And because they can turn to lay flat, they're less prone to breakage from everyday wear and tear. Marathon gaming sessions mean heat and sweat. We covered the G430 ear cups with carefully selected sports performance cloth for a comfortable, soft touch even after hours of use. And they slip off easily for washing to keep the headset in top shape. The G430 earpieces have been designed to be slimmer and lighter, without skimping on audio quality. A lighter, balanced assembly means you stay focused on the game. You might even forget you're wearing a headset. When you want to be heard, you will be-loudly and clearly. The noise-cancelling mic can be adjusted to pick up your voice alone. Don't feel like talking? Easily fold it up and out of the way. In-game sound isn't an effect. It's a critical component of game play. Our USB headphones surround you with aural information. The sound is crisp and clear, and the jack on your sound card stays open for desktop speakers. Epic headphones. Highly recommended. 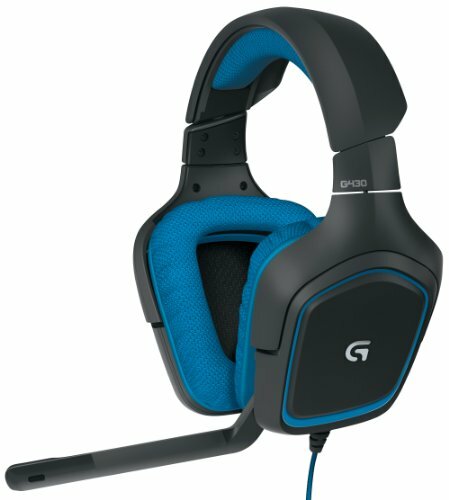 Perfect for gaming, decent for recording, and great for music. Comfortable, and it's blue which is always a plus in my book. I've owned this baby for about 2 years now. So far, they're perfectly fine. The cable is still perfectly fine, the sound is still as clear as it ever was, and the mic is still as clear and crisp as always (I have people in csgo/tf2/teamspeak ask me what mic I'm using pretty frequently). 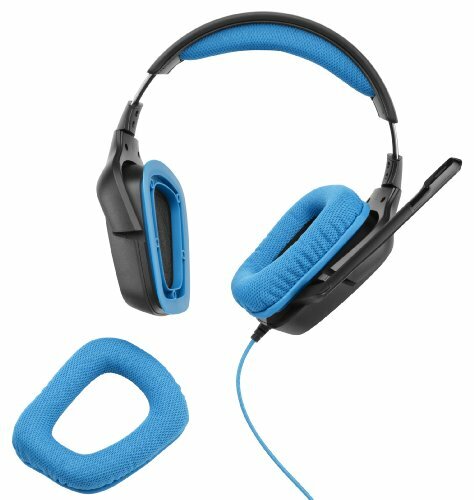 I actually got this on sale for ~40 bucks at a best buy 2 years ago, and this has been the most reliable and comfortable headset I've owned. The removable/replaceable earcups are nice, too. I might try to make mine orange instead of blue. I can't in good conscience only rate this 5 stars when I rated other stuff 5 stars as well. This should be a 6. Wish the max volume on them was a little higher, usually not needed but there are some really soft video on the interwebs and you really need to crank up the volume somtimes, but amazingly comforatable for only $50 I personally think this is a steal since it's usally $80. Good. Not amazing. 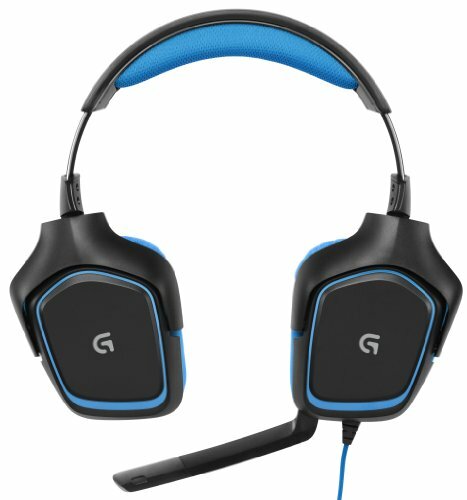 Replaced broken 3 year old Astro A40's which are $250 headphones and I haven't seen much difference. For $40 they are a good buy. Coming from a Roccat Kave XTD 5.1... I'm not impressed by this headset in the slightest. Audio quality could be improved tremendously and the earcup material feels like cheap foam from a swimming pool toy. Awesome mic quality and great connectivity (either USB, or 3.5mm jacks) is what saves this headset from a 2/5. 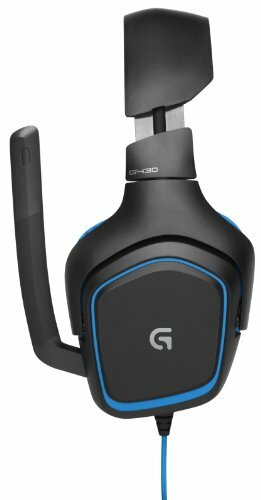 If you are looking for good surround sound, or good audio quality from a headset. Take your cash elsewhere. Pros: Good quality microphone, nice feel, comfortable. Cons: When using Noise Suppression it makes you sound like a robot. I have these and the Klipsh Speakers. My girlfriend isn't a fan of the speakers (lol) so I use the headphones mostly. They're decent, I repeat, decent. Surround sound isn't the best I've heard.